Every business needs to have a crisis management plan. It is an essential aspect of dealing with problems. The problem is that not many business owners or managers appear to consider crisis management as a critical concern. Most businesses only scramble for solutions when issues and complications emerge. 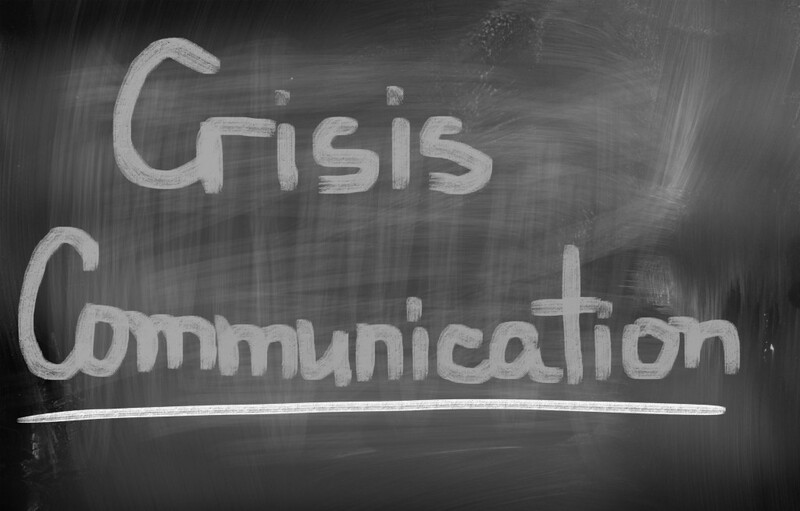 What exactly is a crisis management plan? It is a plan or framework that serves as the basis for actions undertaken in response to a crisis. It exists to guide not only the management but everyone in the company on what to do when faced with a problem. Comprehensive in its scope, a crisis management plan helps ensure that the correct solutions are applied promptly and efficiently. The plan lays out different situations considered as problems or crises. Examples of these problems include falling profits, decreasing demand, reputational damage, disruptions in operations caused by calamities or accidents, problems with employees, or government policy changes that can affect the business. The plan prescribes specific courses of action and assigns the people who should be held responsible for implementing the solutions. In a way, crisis management plans are like a formula for solving different kinds of problems. They lay out a systematic approach to resolving difficult situations as well as threats. Not all businesses or organizations encounter the same problems, though, so a unique plan is usually developed for a specific business to suit particular needs and situations. Ensuring business continuity. Business operations should not be halted or suspended because of an unexpected problem. It’s important to prepare for possible problems and establish contingency actions to prevent a crisis from crippling a business. It may be difficult to operate in the regular or full capacity, but it’s important to keep the business going. Even a brief temporary shutdown can leave a bad impression to current and potential customers. Minimizing losses and damages. Sometimes losses are inevitable as a problem strikes a business. The best that can be done in such cases is to reduce the possible negative effects on profits and resources. Preventing reputational damage. There are business problems that don’t only affect a company financially; they can have adverse consequences on a company’s image. Having defective products on the market, for example, has adverse effects that go beyond pecuniary considerations. The defective products can damage a brand name or the reputation of the business altogether. Securing market share or preventing competitors from taking advantage. Crises are opportunities for competing businesses to take away a company’s customers or cannibalize a struggling company’s market share. A crisis management plan helps prevent this from happening or at least minimizes the impact. Protecting employees. Employees are arguably the most important resource of a business. It only makes sense making sure that they are shielded from a crisis. Otherwise, they may leave the company or they may become disgruntled that they cease to be as productive as they used to be. It is recommended to have the crisis management plan in written form in a physical document, and to introduce it to everyone expected to play a role when the prescribed courses of actions are implemented. Some companies tend to limit access to this plan to emergency management teams, business continuity groups, damage assessment teams, and managers and supervisors. However, it is arguably more advantageous to make this plan available to everyone who are expected to help address a crisis – virtually everyone in a business organization. After all, when crisis strikes, everyone in a company is affected. Everyone should contribute to the resolution of the problem or the minimization of the damaging consequences. In developing a blueprint for crisis management, there are at least four aspects to consider. These are the creation of a crisis management team, crisis identification, the development of strategies and courses of action, and the testing and updating of the plan. Many would likely presume that crisis management is solely the responsibility of the managers and the owner of a business. Dealing with crises, however, requires the involvement of not only the managers and business owners. Even the wisest and most proactive managers may not be able to handle crises on their own effectively. It is more expedient to put up a special team to efficiently deal with a problem. A good crisis management plan calls for the creation of a team that will direct and oversee the implementation of the plan. It should also specify the members who will assume certain roles and functions. Additionally, it has to include contact details to make it easy to convene the team and promptly proceed to the problem solving stage. The composition of the team may vary depending on the kind of problem encountered. A crisis involving technical matters such as faults in the production line, for example, entails the formation of a crisis management team with members mostly coming from the product development and production departments. Top-level managers, however, virtually always need to be included in the crisis management team. They should be aware of the details of the problem and the actions undertaken in response. They should be on top of everything. If a problem is not that big that it can be resolved competently without the involvement of senior managers, that problem is not exactly a crisis. A crisis almost always calls for inputs and guidance from top-level management, and even the owners of the business. The plan should identify what specific scenarios are regarded as crisis or critical problem areas. Identifying these scenarios requires inputs from different managers, supervisors, or key figures in all departments or divisions of the business. A single person is unlikely capable of comprehensively identifying every crisis point in all of the divisions or segments of a company. In the process of identifying crisis situations, it’s also important to point out early warning signs of a potential crisis. The identification of crisis situations is not just about listing potential problems so that appropriate solutions are proposed. It is also about setting up a monitoring system, so a possible crisis is detected and promptly addressed before it aggravates. Again, all of these entail the need for inputs from those on the ground. Those who work in specific departments have a better grasp of what a crisis looks like and the different factors ushering it. Their insights and suggestions are highly valuable in coming up with an efficiency-centered plan for the management of crisis situations. After identifying crisis scenarios and their corresponding warning signs, it’s time to match the most appropriate solutions. Each potential problem can have multiple remedies or courses of action, depending on the differences in details. An IT system failure, for example, requires different responses depending on the causes. If it is brought upon by a virus attack, the affected computers should be isolated and cleaned. If the trouble is hardware-based, a technician should be contacted to apply the necessary fixes. As mentioned, courses of action should comprehensively cover the different aspects of a business. It should include contingencies for core and auxiliary operations, procedures for restoring power and communication, options for handling financial difficulties, strategies in dealing with human resource issues such as strikes or picketing, methods in dealing with a hostile takeover, measures to cope with natural or man-made disasters, as well as an evacuation plan in some cases. Doing this part of the plan requires an excellent sense of problem-solving along with a wealth of experience and knowledge of potential crisis scenarios in similar settings. It is advisable to enlist the help or at least seek inputs from those who have the competence and experience relevant to business crisis management. An “if this then that” presentation of problems and solutions may be created. After completing the plan, the testing phase proceeds. You can’t expect your contingencies or readily prepared solutions to always work. It’s important to examine their effectiveness by simulating the emergence of a crisis. Often, the plan would need improvements or tweaking to be effective. There are even times when the solutions thought out by the management don’t produce the desired results. Moreover, it is advisable to do crisis management plan testing periodically. Business needs and risks change over time, so the plan has to be updated. This is particularly true when it comes to information and communication infrastructure (computers and internet). It is also wise to review the crisis plan whenever there are changes in government regulations or policies. Coming up with a framework to efficiently respond to a crisis is not an easy task. Often, it has to be developed collaboratively with those who have a deeper or better understanding of certain aspects of business operations. A plan created by just a single person may not be comprehensive enough, and may not present the most effective approaches for problem resolution. Consider the points raised above to create an all-inclusive crisis plan.